I have not always been into sound effects and sound design. I was a professional touring musician at the age of 19. 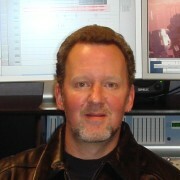 I then opened a 24 track recording studio near Boston and was a live sound engineer for many years. 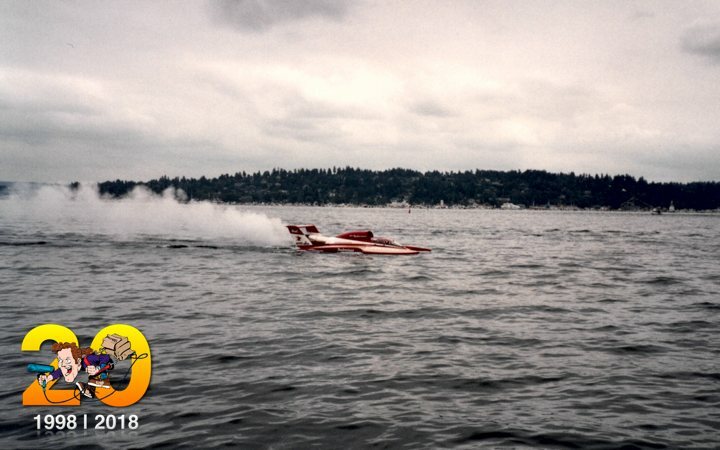 It wasn’t until I arrived in Seattle at the tender age of 28 that I began recording and designing sound effects. I told everyone I knew what I was doing but in reality I was just at the beginning of a long and somewhat spiritual journey. This month I will post on Social Media sites about various experiences with photos (if I have them) from the last twenty years. I will post when the spirit moves me and when I have time (not much of that lately thanks to the wonderful people who purchase my sound effects). I will update the blog weekly with the latest posts from my FaceBook page and other sites. I hope you enjoy this trip down memory lane. Then as now, I do everything from designing the art, website coding, audio demos to the actual recording of the sounds… you name it, I do it… except distill my own single malt scotch (I purchase that kind of thing). I will post a blog with more detail soon. It’s been a long strange trip. 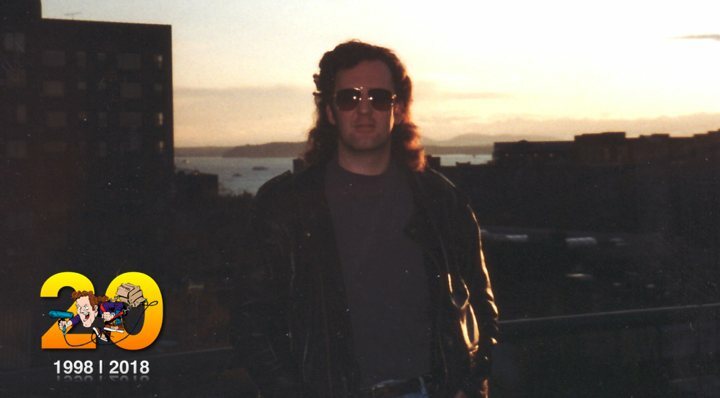 Here is a photo of me taken two years before I started The Recordist in downtown Seattle (grunge hair and all). I started my “Sound Effects Recordist” adventure in that great city. 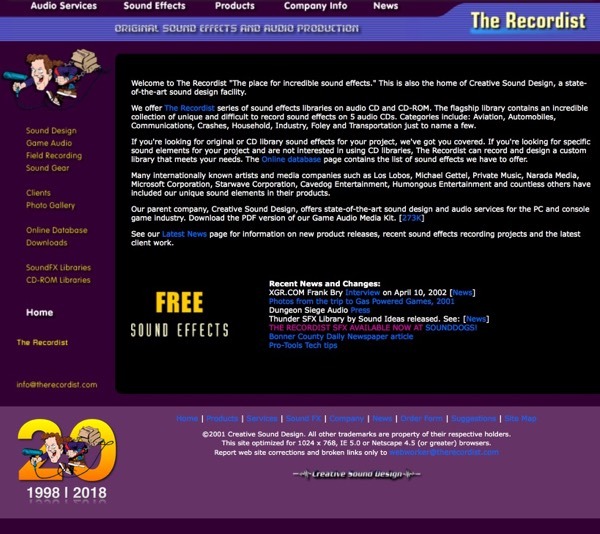 I lived near many audio production studios during a wonderful time when digital audio technology was just starting to take off. Thanks to the many people and audio facilities that believed in me. The rest is history. PS: To all those starting out or in the early stages of their journey recording sounds: Never give up! 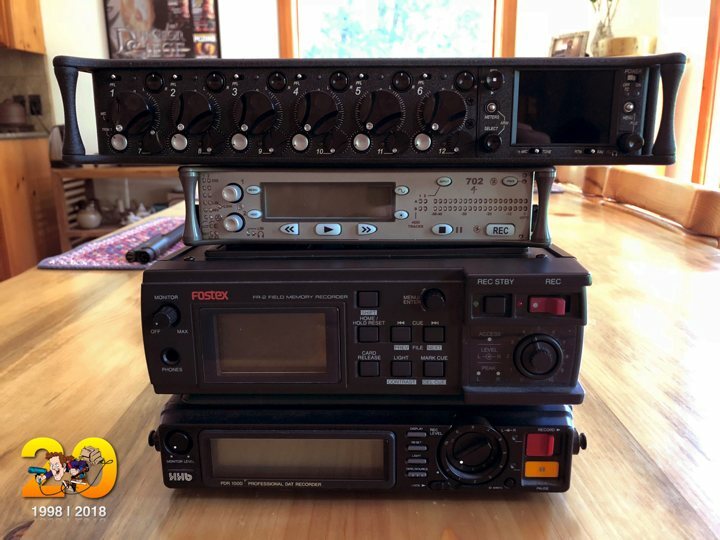 I started out with a 2nd hand Panasonic SV-255 DAT recorder and a AT-825 stereo microphone. I never had enough cash for DAT tapes so clients, friends and others would give me old production DAT tapes no longer being used. Grateful I am… beyond words. 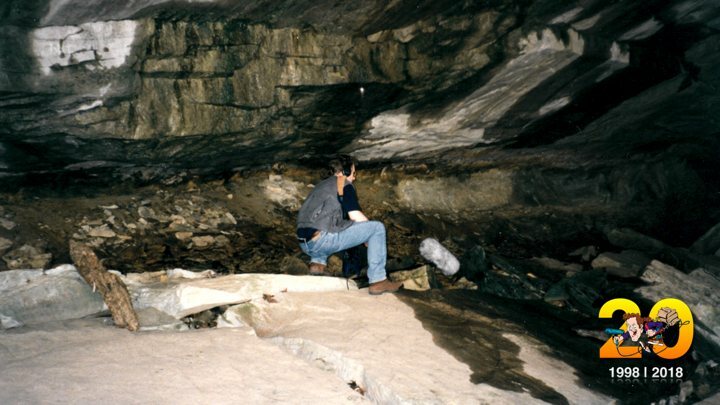 Here I am in Kentucky recording water flowing from a cave at Carter Caves State Resort Park. The park ranger let me go down inside a few caves and I recorded some really nice water drips. no bats, just drips. I was on a cross country vacation and stopped by the park on my way to the Desert Southwest… More on that later. 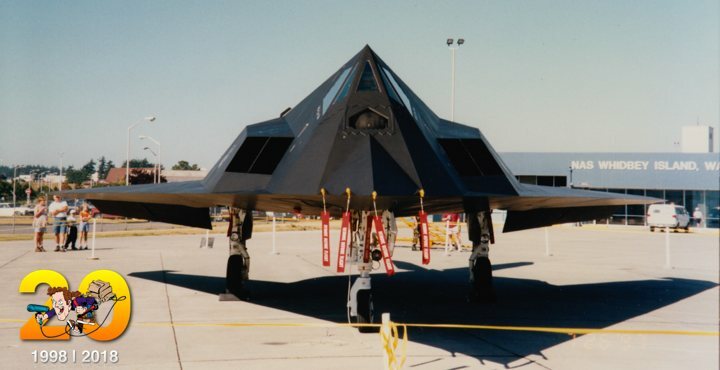 Going through old “analog” photos from the early days and found this pic of a F-117A Stealth Fighter I had the pleasure of recording. 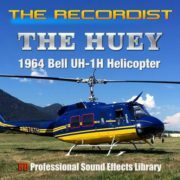 Not many recordings of this jet around. It was very quiet as you can imagine. Sounded spectacular! 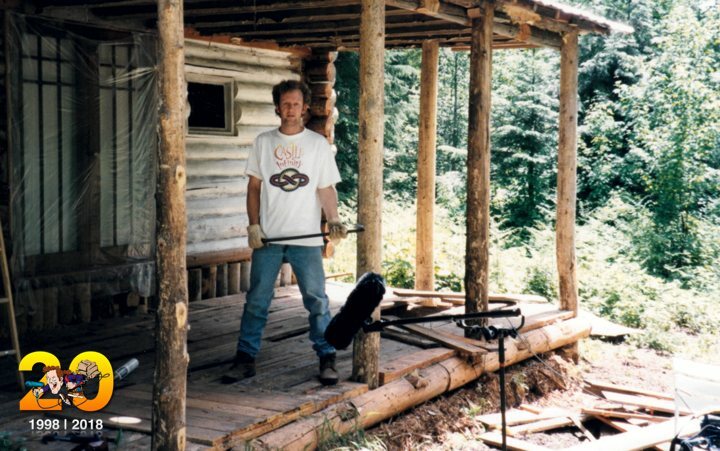 Twenty Year Flashback Photo: This is summer 1999, just after I bought my cabin in the woods. That day I was ripping apart the old porch to build my studio. The wood was so old and dry that when I tore up the boards (crowbar in hand) the sounds were insane! Plus, whoever built the porch LOVED nails… there were a gazillion of them!. 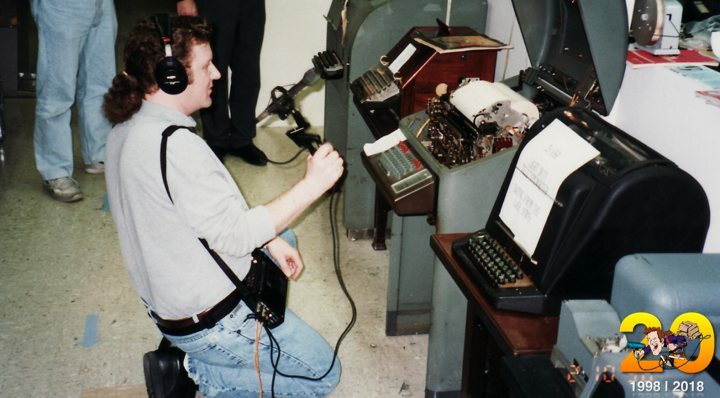 The microphone I was using at the time was a Sanken CSS-5 MS Stereo Shotgun, still use it today! FYI: The T-shirt I’m wearing: Castle Infinity, the first multiplayer online game for kids… designed for 28.8 modems… 1995, those were the days!‬ I designed all the sound effects for the game while I was Senior Sound Designer at Starwave. 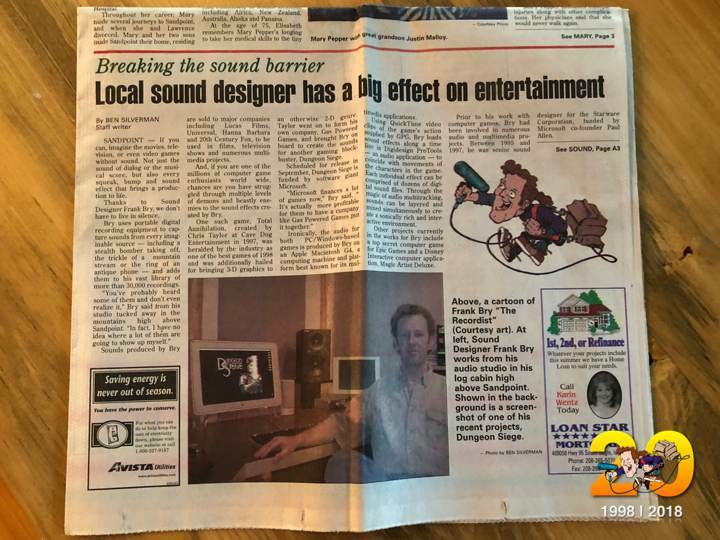 Twenty Year Flashback Photo: The local newspaper ran a story on The Recordist in July, 2001. 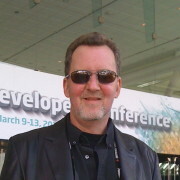 At the time I was working on 3 or 4 games at once. Dungeon Siege, Neverwinter Nights and some Disney Cartoon Deluxe games for kids. It was a busy time and I was starting to record lots of custom sound effects that I needed for the video game work. I’m not sure how I found the time to record them but I did.